Drive a vehicle with a cargo and make it in time. Don't damage the cargo and get three stars. 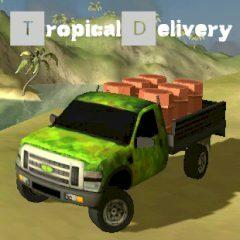 Travel along the tropic island and deliver cargo in every mission. Find out the optimal route to make it to the finish in time and get three stars.